Richard Dawkins (born 1941). 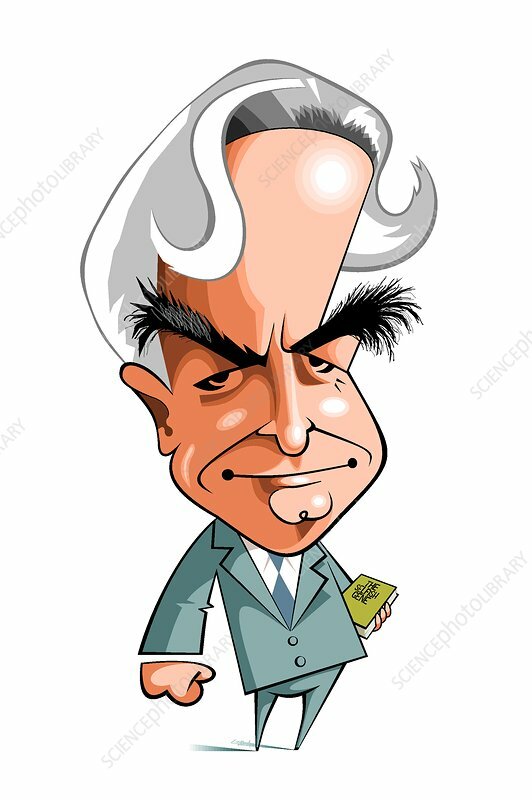 Caricature of the British ethnologist, evolutionary biologist and science writer Richard Dawkins, carrying a copy of his book 'The Selfish Gene'. Dawkins is best known for his 1976 book 'The Selfish Gene,' which popularised the gene-centred view of evolution. He is an atheist, author of several popular science books, vice president of the British Humanist Association, and a vocal critic of creationism and intelligent design theories. He has received numerous awards and honours for his work. In 'The God Delusion' (2006), Dawkins proposed that a supernatural creator almost certainly does not exist and that religious faith is a delusion.